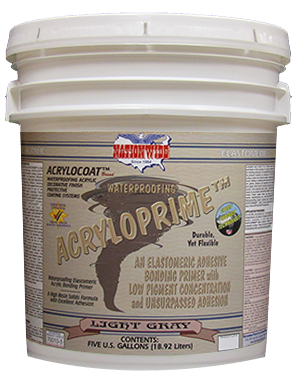 Elastomeric Adhesive, Bonding Primer | Nationwide Coatings Inc.
WHAT IS ACRYLOPRIME™ ELASTOMERIC ADHESIVE LIGHT GRAY BONDING PRIMER? High solids ELASTOMERIC acrylic waterproofing adhesive light gray bonding primer. 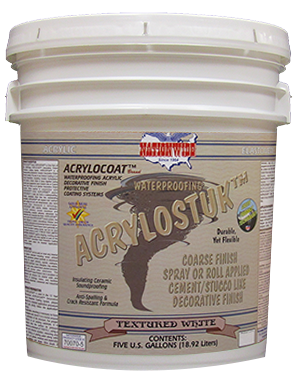 A high solids resin formula with a low pigment concentration. 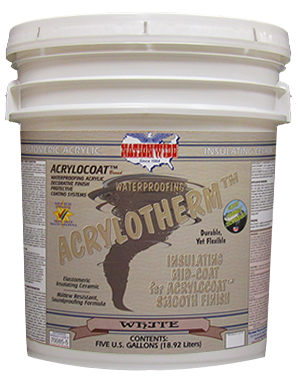 Formulated for unsurpassed adhesion to most any surface. Weight per Gallon: 10.0 lbs.